There are few things sexier than full, luscious lips. Here’s how to pucker to pucker up Angelina-style. As the million-dollar images of Brad and Angelina’s baby popped up on tabloid covers earlier this year, the buzz was almost audible: Shiloh Nouvel Jolie-Pitt, even in infancy, had inherited her mother’s killer bee-stung lips. Any woman would kill for a pair of those. But what’s up with that obsession, anyway? “Big lips are associated not only with youthfulness but also with sensuality and fertility,” says cosmetic dermatologist Lisa Kellett of Toronto’s DLK on Avenue. It’s no wonder so many women today are obsessed with obtaining the look. The reality, however, is that your lips thin with age (blame it on the decrease in collagen production that begins with each passing year). This translates into a lip-smacking business for manufacturers of injectibles and the dermatologists licensed to apply them. Meanwhile, virtually every cosmetic brand has come up with a concoction designed to achieve that puffy pout. Which option is better for you? What’s the cost? Does it hurt? Read on. For those unwilling to face the needle, topical pucker-plumpers offer all the promise at a fraction of the cost. Like your lipstick or gloss, they come in a tub – but these ones are irritating. With some formulated with topical irritants such as cayenne, menthol, ginger or cinnamon, lip plumpers cause increased blood flow to the lips that results in a sometimes tasty, powered-up pout. That’s the good news. Now here’s the rub: the effect wears off after about two or three hours. And some women, such as Toronto makeup artist Andrea Claire Walmsley of judy inc, find the burning, tingling sensation off-putting, even a bit frightening. “I’m not sure I’d want to wear one every day, but they’re great for a special occasion or a big night out,” says Walmsley, a devotee of Pout Plump. Forget rosebud lips – you want the full bloom of Julia Roberts. What you don’t want, cautions Dr. Kellett, is a “duck bill” – a top lip that is twice the size of the bottom. Injectibles fall into three categories: collagen-based, hyaluronic acid-based and other product-based. 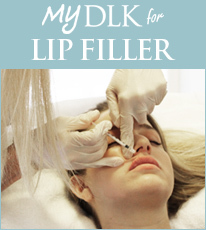 Your doctor will fill a syringe and make four or five injections to fill out the lips. “I always inject underneath the lip, on the wet part,” says Dr. Kellett, who performs more than 2,000 lip enhancements each year. “That way the lips are rounded out more naturally, without the telltale shelf that is always the dead giveaway of a lip augmentation.” Will it hurt? Yes. The look of bee-stung lips comes with bee-sting pain. And you can expect to spend about 20 to 30 minutes, and $400 and up, for the treatment. But the result will be achingly Jolie. Brands include Cosmoplast, Cosmoderm and Evolence. Evolence (pig collagen) causes less redness than other injectibles. Lasts six to eight months on average. Brands include Restylane and the newer Revanesse and Matrigel (they last anywhere from four to 12 months). Hyaluronic acid is a substance found naturally in the skin, making it a safer bet for anyone with a collagen-vascular disorder such as rheumatoid arthritis or lupus.